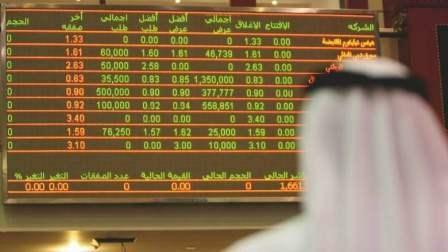 The initial public offering (IPO) market looks pretty strong as the UAE companies are projected to raise up to $9 billion (Dh33 billion) this year, which could see 2018 as a landmark year for the UAE financial markets, industry analysts have said. Vijay Valecha, chief market analyst, Century Financial Brokers, said UAE companies are expected to raise $8-$9 billion (Dh29.36-Dh33 billion) from IPOs through listing in global as well as local equity markets, depending on their valuations. As many as 9 companies from industrial, infrastructure, education and real estate sectors are likely to raise funds through IPOs this year. "For local markets, Emirates Global Aluminium is likely to be the star with an expected IPO size of $3 billion (Dh11 billion) while infrastructure company Abu Dhabi Ports is targeting around $1 billion (Dh3.67 billion). Meanwhile, Gems Education is planning to raise $1.5 billion (Dh5.5 billion) through a London IPO. If all of these companies go through, 2018 could be a land mark year for UAE financial markets," Valecha said. Gregory Hughes, Mena IPO Leader at EY, also said that the UAE does look particularly strong in terms of announced and potential IPOs. In UAE, 2017 was a marvellous year as firms raised somewhere around $2.1 billion (Dh7.7 billion). There were two IPOs listed on the DFM in 2017. In Q2, Orient UNB Takaful Insurance was listed, raising $16.3 million. In Q4 2017, Emaar Development was listed for $1.3 billion (Dh4.77 billion). There was also one REIT listing on Nasdaq Dubai for Emirates NBD Asset Management at $105 million. Adnoc also raised $851 million (Dh3.12 billion) through listing on Abu Dhabi bourse. Hughes said IPOs from larger, more established and profitable businesses with strong management track records might see more demand. Valecha noted that GCC countries are preparing to witness a record boom in IPOs in 2018. Taking the lead this time are Saudi Arabia and the UAE, which have more than 30 companies in the IPO pipeline. The main IPOs which are highly anticipated are of Abu Dhabi Ports, Sanaat, Gems Education and Emirates Global Aluminium ahead of Aramco sale. It is estimated that around 5 IPOs will be able to raise close to $8 billion. According to Century Financial, Gems Education, a private school operator, is expected to fetch a valuation of at least $4 billion in a potential IPO reportedly be held in London. This offering is backed by Blackstone Group and Fajr Capital. Emirates Global Aluminium, the largest producer of aluminium in the Middle East, is expected to get dual listed on Dubai Financial Market and Abu Dhabi Securities Exchange to raise around $3 billion, predicted Century Financial. Mayur Pau, partner, EY Mena Growth Markets and Financial Services IPO Leader, said the listing of Adnoc Distribution on Abu Dhabi bourse may encourage more regional energy companies to go public in 2018 to raise capital driven by an improved oil price environment and favourable government initiatives. Analysing the current trend in UAE, Valecha of Century Financial, expects more UAE companies to increase their foreign ownership limit to raise funds coming from foreign investments, which will, in turn, make UAE more attractive across the global investor base. "This will be a very vital tool to help the UAE economy to diversify for its dependence on oil. Raising foreign ownership limit will also ensure putting a robust corporate governance structure in place and gathering more investor confidence in return." Commenting on the impact of expected upgrade of Saudi Arabia into emerging markets index by MSCI, Valecha said inclusion of Saudi Arabia in MSCI's Emerging Markets Index will be a milestone not only for the Kingdom, but also for the entire of GCC community. "It is estimated that this listing will help draw over $4 billion into Saudi equity market and its benefits will no doubt ripple across to UAE as well. Since UAE's participation in the MSCI index, there has been a 100 per cent increase of value and it has instilled a strong upward bias. A similar reaction is also expected if Saudi Arabia gets included too," he added. Hughes said the impact of the expected upgrade of KSA will likely bring more attention and interest to the region overall from global investors and funds. This could have a broader positive impact on equity markets, provided that other external and internal factors remain constant. The UAE already has emerging market status with MSCI.